Why hunting in Belarus is famous and so popular? The answer is simple: Belarus is well-known for its pure nature and great variety of species. Hunting trips to Belarus can combine both hunting which requires activity and leisure time. Belarus is known for its pristine wilderness, forests and marshes. 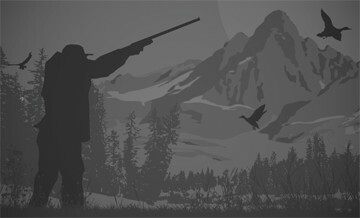 This country always attracted hunters from all over the world. Hunting in Belarus is affordable for hunters of all classes, but low-price doesn’t mean low quality and less pleasure. You can choose a trip that will satisfy you fully and we’re ready to help you. Hunting in Belarus gives you opportunity to hunt on such animals as: aurochs, elks, red deer, roe, boar wolf, fox, beaver, hare, marten, otter, muskrat. 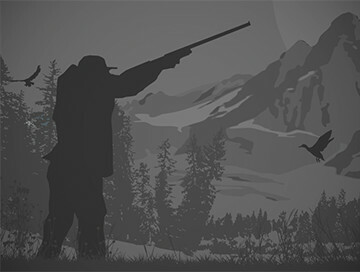 Among birds it’s possible to hunt on capercaillie, blackcock, grouse, partridge, snipe, woodcock. As you can see, variety of possibilities for hunting in Belarus is great, everyone can find a trip according to interest. In Belarus you have a chance to hunt according to centuries-old traditions. Unique nature of Belarus scopes, variety of animals and experienced guides will make you tour to Belarus unforgettable experience! Game will remind you of great time, so don’t miss an opportunity! Geese spring hunting in Belarus. Classical red deer stalking hunt in Belarus. Classical roe buck stalking hunt in Belarus.